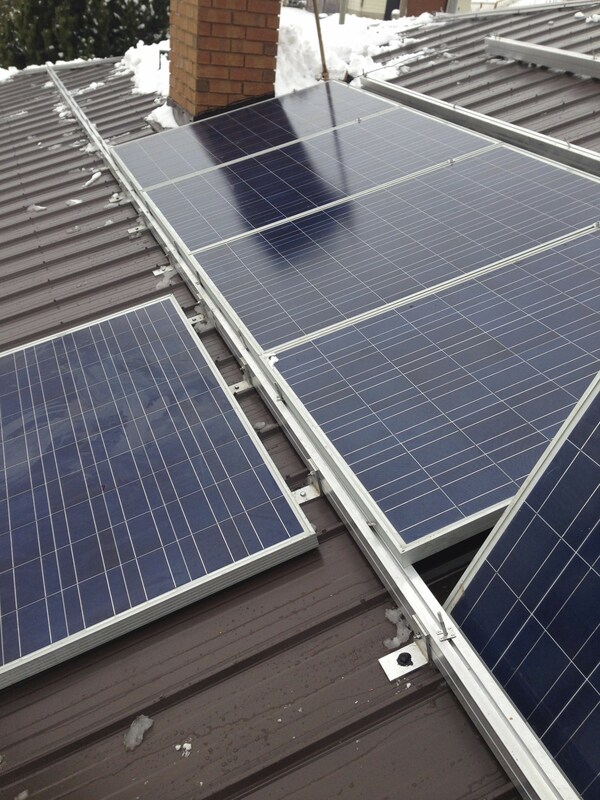 Home › Projects › Different methods of mounting solar panels. 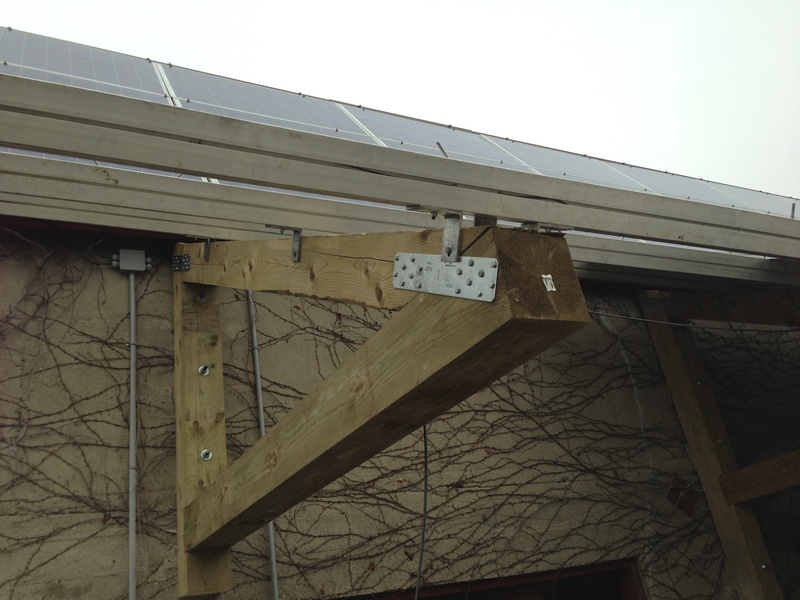 Awning mount, on the side of a building. 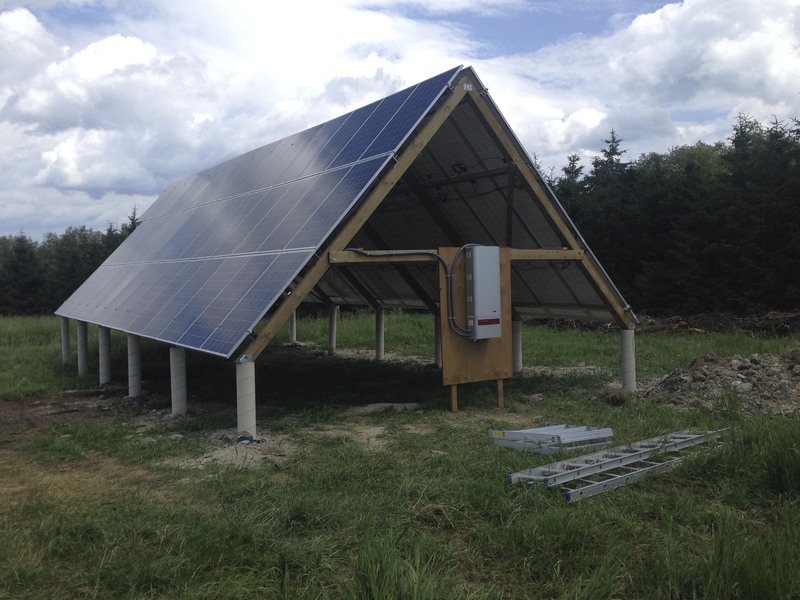 Looking at the end of an A-frame system for a geothermal user to reduce their Hydro bill. 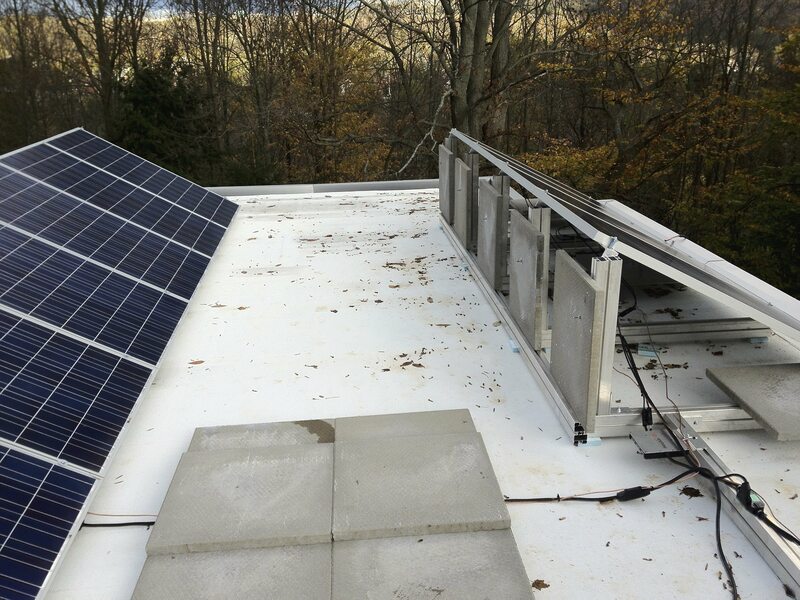 Flat roof system, We even painted it white for cooler running of Air conditioning and more solar production. 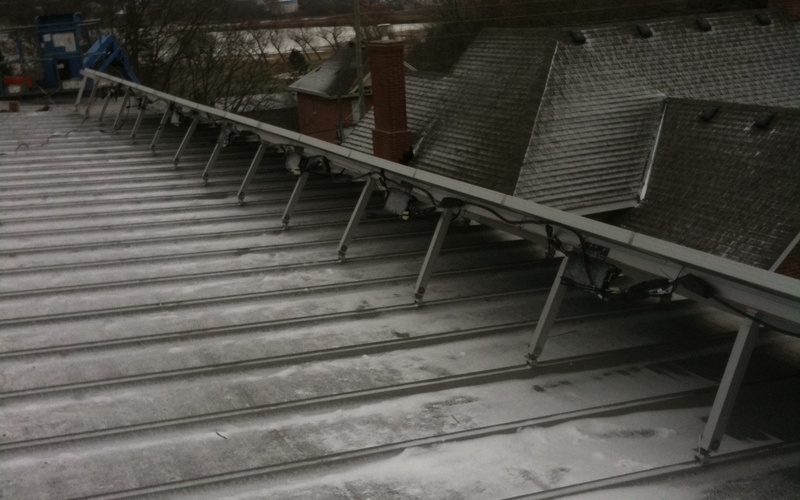 Raised seam roof, with angle mounts. No penetration of the roof. Clamps just squeeze the seam to hold on. 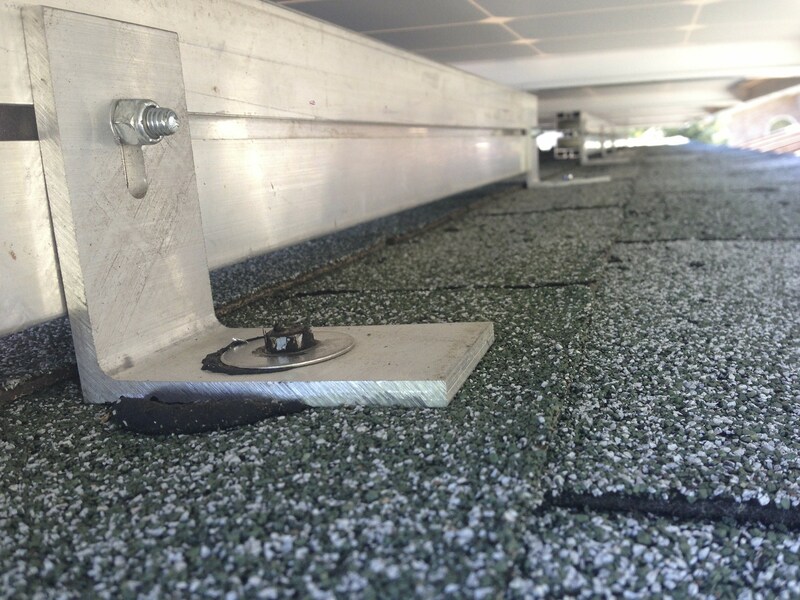 Very tightly spaced flat roof system. 7Kws. 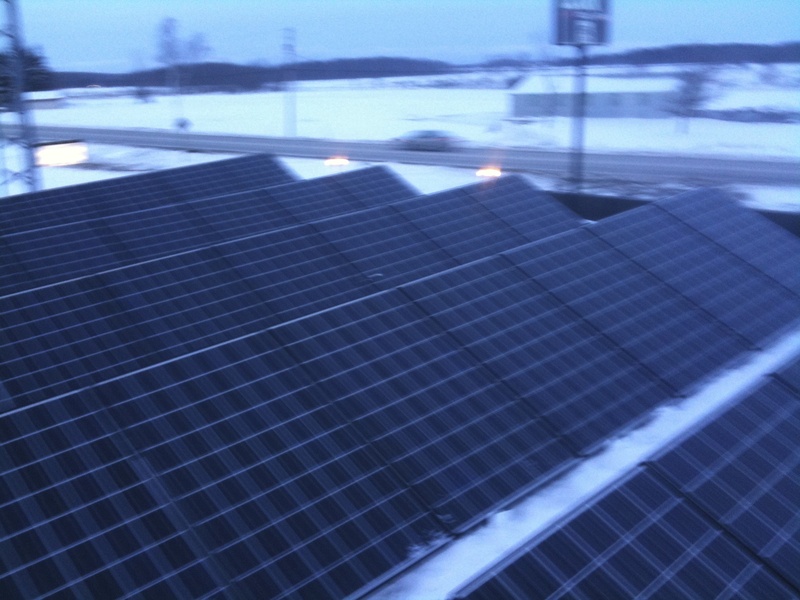 Sunfish Solar can mount panels on various roof surfaces. Asphalt shingles, raised seam steel roof, flat roof or barn steel roof structures are all possible candidates. I am including some pictures of different styles. Here are some examples. ‹ Biodiesel post from City of Owen Sound.